Bender UK has completed work on the new £12 million maternity unit project at Furness General Hospital, Barrow-in-Furness. The new facility named: South Lakes Birth Centre is equipped with Bender’s market leading critical care power systems and surgical equipment. The electrical infrastructure within the maternity facility includes Bender medical IT power systems (IPS) and uninterruptible power supplies (UPS) which provide resilient, fail-safe protection and back-up power supply in the event of power failure. 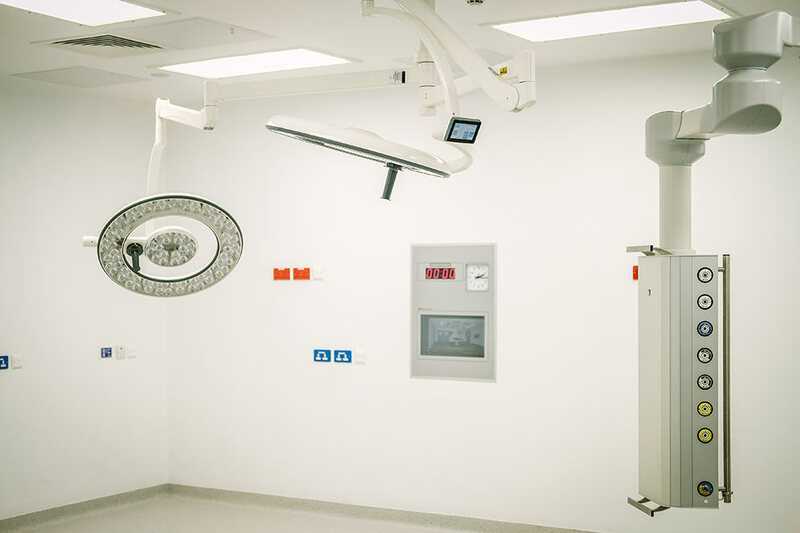 In addition, both maternity operating theatres are equipped with Bender hygienic touchscreen theatre control panels (TCP), clinical pendants and Merivaara Q‑Flow™ LED surgical lights. The high specification Merivaara Q-Flow™ distributed by Bender UK is streamlined in design, produces less heat than traditional surgical lighting, and has a working lifetime of up to 50,000 hours. Q‑Flow™ provides class‑leading R9 colour rendering, delivering daylight quality light to patient cavities, while consistent green ambilite makes it easy for staff to view images and monitors. The lights also have a unique Dynamic Obstacle Compensation (DOC™) system which adapts automatically to obstacles in the field of light, delivering enhanced illumination to the operation table. 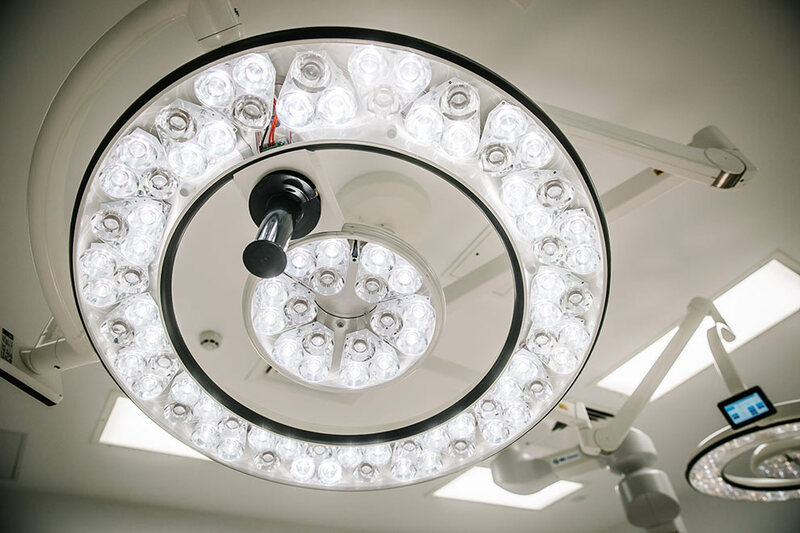 The surgical lights deliver a vertical flow of sterile air to the operating table, reducing turbulence which can introduce bacteria to the patient. Easy to clean and maintain, the lights are controlled by a touch screen panel, remote hand-held device or conventional surgeon’s handle. Bender TCP’s control the operating theatre environment. With a unique wipe clean anti-microbial silver nitrate coating they provide maximum sterility while enabling staff to exercise safe control of the theatre through a single point of reference, even when wearing surgical gloves. 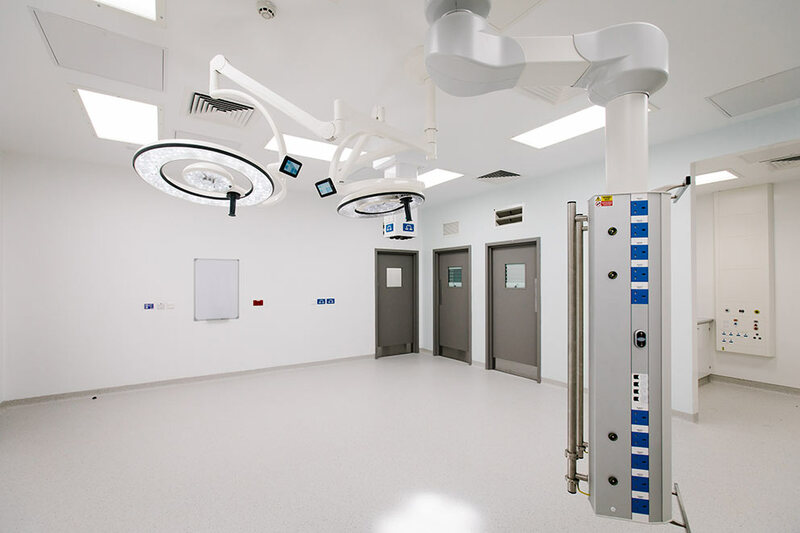 The installation was carried out by Bowker Ltd, a specialist mechanical and electrical contractors on the project, with whom Bender UK has a long-standing relationship on medical projects.